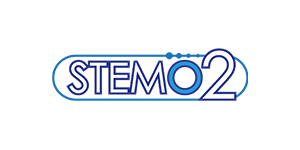 The Advanced Skin Care System is unmatched in terms of quality and innovation. Our formula is carefully blended tp ensure optimum hydration, allowing your skin to inhale and exhale naturally as your body originally intended it to be. Our Advanced Skin System is designed to nourish and cultivate the perfect skin. Our Advanced Skin Care System Brightening Cream is designed to enhance your skin's appearance and nurture a youthful glow. if you suffer from discoloration, dark spots and blemishes, the Advanced Skin Care Brightener will enhance your complexion significantly by lightening the pigment of the skin. This treatment will also reduce the emergence of troublesome spots and blemishes. This formula is designed to smooth the skin's surface and help establish a uniform skin tone. 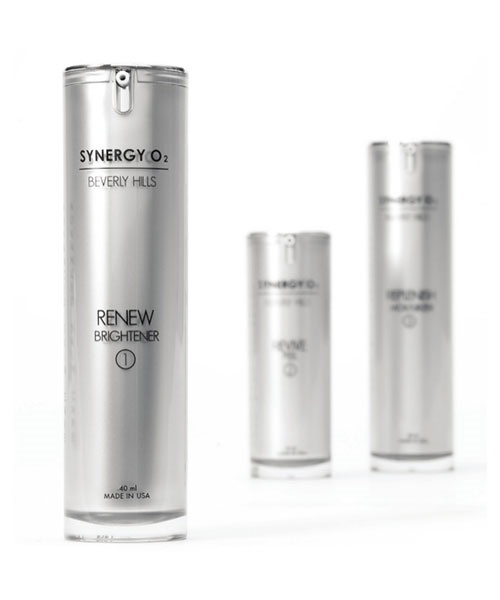 Renew is fortified with SynergyO2's own proprietary formula delivering optimal results. Rejuvenate is a comprehensive serum treatment developed using the highest quality ingredients. The Advanced Skin Care System Serum is engineered to target signs of aging whilst ensuring skin remains supple, fresh and hydrated. 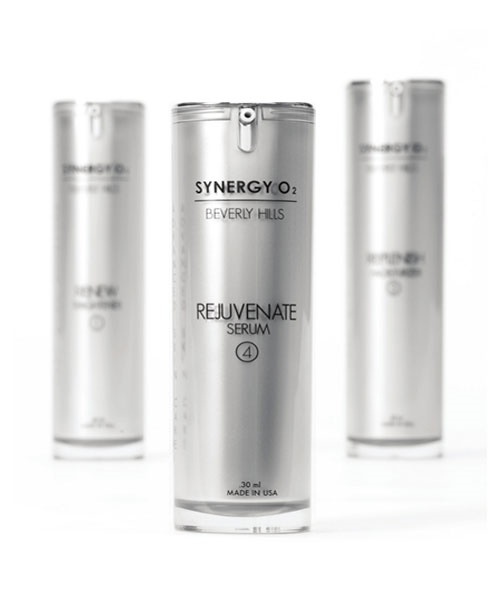 Rejuvenate is fortified with SynergyO2 which enables it to penetrate the deeper cells of the skin effectively and to cleanse them of impurities whilst simultaneously providing superior nourishment. Rejuvenate can be used as a single product, but is most effective used in conjunction with all products in the Advanced Skin Care System line. Reduction of fine lines, scars, blemishes and dark spots. Prevention of blocked pores while eliminating the formation of blackheads and whiteheads. Reduction of any signs of aging while keeping the skin looking fresh and hydrated. Antioxidant effect which provides a clearer and brighter complexion. Is the treatment a medicine? No, Advanced Skin Care System is not a medical treatment. Since all the facial creams are part of the same treatment, they complement each other. Each cream works where your skin needs it the most. 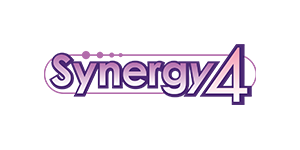 SynergyO2 nor any of its products are destinted to diagnose, treat, cure or prevent any disease. Is it necessary to apply all of the creams? No, is not necessary, however we do recommend it. You can use the cream that best suits your skin's needs and notice great results. Advanced Skin System's facial creams were designed to bring you a complete treatment that nourishes the skin and its cells deeply, therefore, you will notice a greater change on your face if you apply all of the treatment. How should I apply the creams? -Renew Brightener: After cleansing your face apply a small amount on the face avoiding the eye area. In the evening use Renew after Revive. For the daytime, follow Revive with our Serum. In order to maximize the effects of our Advanced Skin System, it is important to avoid excess sun exposure and it is recommended to use a sunscreen with a minimum of 15 SPF. -Rejuvenate Serum: After cleansing, apply a thin layer on the face and neck. Rejuvenate may be used day and night, alone or as part of the Advanced Skin System. it is important to avoid excess sun exposure and it is recommended to use a sunscreen with a minimum of 15 SPF. What should I do if my skin develops an allergic reaction? Very few people have reported side effects or allergic reactions when applying the whole treatment or just one of the creams. In case you develop an allergy , stop using the product and consult a health professional. How long does the effect of each cream last? Each one of the creams was designed to deliver long-term effects. 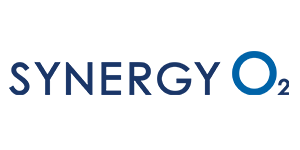 Therefore, the benefits offered are not just for a few days but for a long period of time. When applying the treatment as a daily routine, your skin will look rejuvenated and healthy.